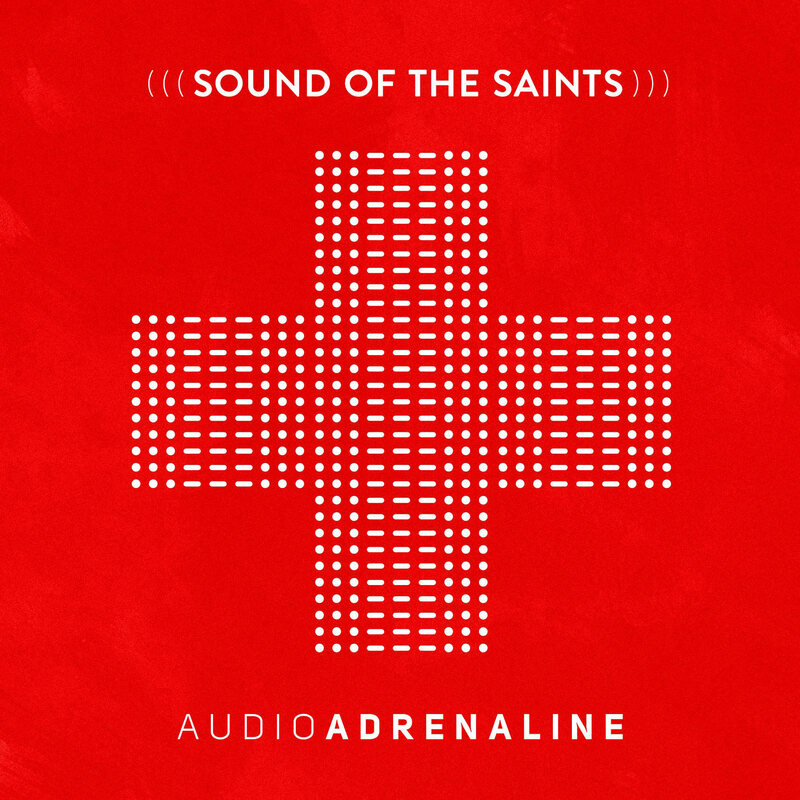 Recently, Audio Adrenaline announced a new lineup in preparation for a new record that is releasing May 5th entitled Sounds of the Saints. I recently spoke to new Audio A vocalist Adam Agee about the upcoming record, what it’s like working with Mark Stuart and Will McGinniss, and the negative fan backlash over the Audio A reboot. Gabe: So tell me, what’s the story behind you getting called to be a part of Audio Adrenaline? Adam: My band Stellar Kart was on the same management as Audio Adrenaline for the last 3 years or so. So we’ve been pretty close with them. I’ve known Mark and Will for a long time. It’s pretty well documented that we were heavily influenced by Audio Adrenaline back in the day. So when they wanted to make a record with me as the singer they called me and asked me if I would be interested. We talked through the different aspects of it including the touring, the writing, the ministry with the Hands & Feet stuff… So I prayed about it a lot and said “yes this is what God wants me to do”. Gabe: How is it as an artist being under the wing of Mark Stuart and Will McGinniss? music. To learn from them is very special. Like I said earlier, we were influenced and were such big fans of Audio Adrenaline back in the day. And now to work with them pretty closely is pretty incredible. Gabe: You’re also on tour with Michael Tait and the Newsboys…legends of their own…what’s that like to go down the road with them? Adam: I watch their show every night and try to learn from it. I’ve been playing music for 15 years and have probably played almost 2000 shows but I’m still trying to learn from legends that have been doing it at the highest level for so many years. You couldn’t ask for a better tour to be on with the Newsboys. Those guys are very good to us and are really great people. So yeah, I’m learning as much as I can every night and I’m enjoying it! Gabe: Yeah, they always have put on a great show so it’s probably a challenge to live up to that every night. Adam: I love that kind of challenge! Gabe: You mentioned Hands & Feet project earlier… Have you visited there or at least made plans to visit there anytime soon? Adam: I haven’t yet but it’s on the schedule. I can’t wait to get down there and see it firsthand and get to experience it. We’re gonna try to do some trips this fall involving the band with some fans that would like to go with us. Gabe: You guys have a new record that’s coming out May 5th entitled Sounds of the Saints. What are some songs you’ve played live…and also what are some songs that you’re excited for people to hear? Adam: One of my favorite tracks off the record is the opening track, it’s called Move. It’s a song that is pretty much what Audio A has always been about. We’re hoping it’s what Audio A continues to be about. It’s a song about getting out of your comfort zone with who you are. No matter how good you think you are at sharing the Word, get out of your comfort zone and continue sharing the good news of Jesus to your neighborhood, your school, your work, your country, and the world. That’s basically what Jesus’ last words to us were so it’s the mission of our band. And that song is a big rocking song so we close the show with it every night. It’s a pretty special moment. The song has already gotten placement on some sporting events like MLB. So that song is very exciting for us. Love Was Stronger is another song we are excited about. That song has one of my favorite lyrics on the record. On the bridge it says “I was the one who pierced your side. I put every thorn on your head. Through the feet and through the hands I placed all of my sins.” That’s such a powerful lyric and I love that message of the cross. That’s what it’s all about for me. How his love is stronger than anything anyone has ever done or will do. The title track, Sound of the Saints, was actually co-written by Mark Stuart. It’s a pretty special song and is the title of the record. It talks about all the elements of creation singing praises to God…the beauty of God’s creation and how He made it amazing. But there’s something about the sound when God’s children sing praises back to Him. And we get to experience that every night on tour on this song. By the end of the song, whether they had heard the song before or not, there’s always 2000 people singing it at the top of their lungs. It sounds like a big choir in heaven, it’s pretty unbelievable. And then the record ends kinda where it started with a song called World Changers. It’s another big rock anthem basically saying that we can be world changers. It’s kind of that underdog mentality that Audio Adrenaline is known for. You don’t have to have the best pedigree or the best resources. You don’t need to have all the things you think you need in order to make a difference in the world. We can do it and God can use anybody. Gabe: You mentioned Mark Stuart writing the title track. Who were some other guys that helped with the writing on the record? Adam: We got to write with some great writers. Seth Mosley wrote a bunch of the songs. And he produced half of it. Josh Silverberg produced the other half. We got to write with Justin Morgan and Micah Kuiper (Hawk Nelson). I appreciated the guys in Audio A and management saying “we want the best songs and want you to be part of that.” I felt very fortunate to have that opportunity. 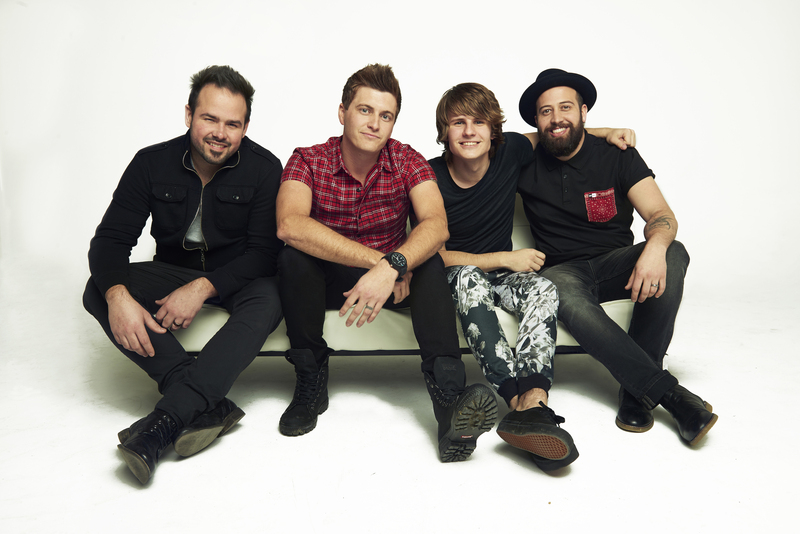 Gabe: Obviously, there have been some negative feedback when it comes to the Audio Adrenaline brand reboot. What has been some of the band’s reaction to that? And how has that challenged you to make great music of your own? Adam: It’s always tough when not everyone in the world likes what you’re doing. But I don’t know if I’ve ever experienced something where everyone likes what you’re doing. It just doesn’t happen in the world. I’m kind of used to it and I understand making music that’s not everyone’s favorite. And I get that. I get people that say “it’s not the same”. It’s just because they’re great fans. It’s because Audio A has changed people’s lives for the last 25 years. When you’re going along and living life, a band can mean a lot to you. Change is tough. It’s a change that some people are embracing, there’s some people that are on the fence, and there’s some people that don’t want to be a part of it anymore. I understand that. Hopefully, the music will speak for itself. 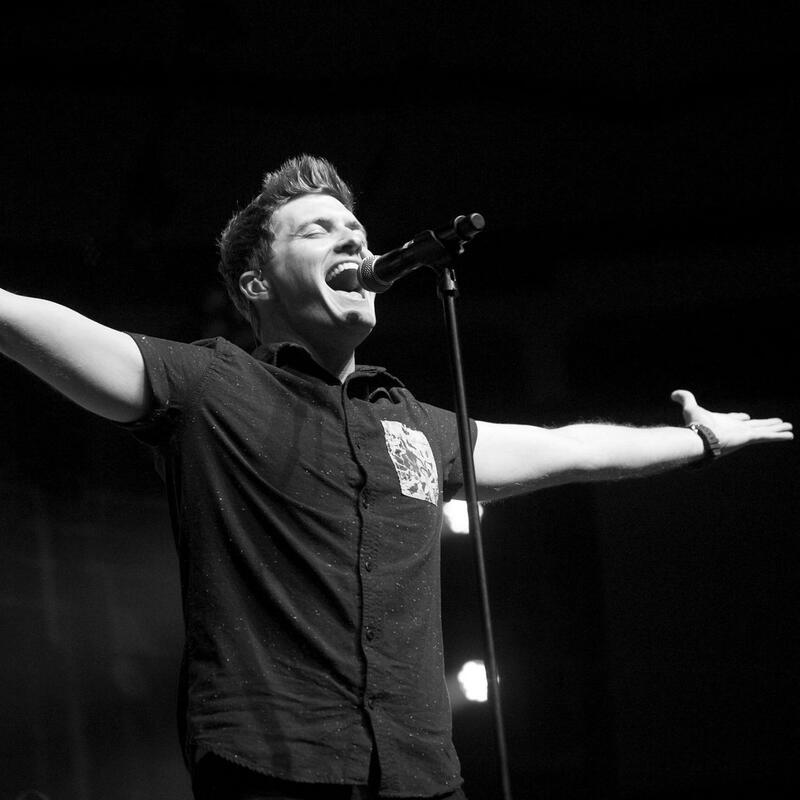 I believe the music is the heart of Audio Adrenaline. I can say that with honesty and with total confidence. Stylistically, people change it up. Bands’ styles change record to record. Just look at Audio Adrenaline: Bloom to Some Kind of Zombie to Lift… It’s not the same style for sure. Stylistically, I’m not so concerned with people that say we don’t sound like that. Other than that, I think we have tried to stay close to the heart of Audio A. I hope that we win over some of the fans that are upset at the change but I understand it. Gabe: Speaking of classic Audio Adrenaline, what is your favorite classic Audio A song? Adam: I really like Ocean Floor. That’s one of my favorites of all time. We’ve also played Get Down which I love. That’s a fun one for the crowd. I can’t wait to play some more of those classic tunes on the show. Right now, we’re opening for the Newsboys. So our set is probably about half the length it’s going to be when we headline shows. Gabe: What are some of the songs that you don’t do that you hope to add to the set once it’s longer? Adam: On the new record, we’re probably going to start doing World Changers in the set. We’re trying to find a way to squeeze that one in because it’s so good. There’s another big rocking song called Out of the Fire. Since I make the set list, I think we’re going to do that one (laughs). Gabe: What about classic Audio A songs that you haven’t added yet? Adam: Definitely, Hands and Feet. We haven’t had time to put that in the set yet but we’ve been practicing it. All the guys in the band want to do Some Kind of Zombie. Gabe: That was one of those songs where Audio Adrenaline was ahead of their time. Adam: Yeah, that was before The Walking Dead and all that! Gabe: Good talking with you Adam. Take care. Adam: Thanks for having me! Check out Sounds of the Saints on May 5th! And be sure to check out audioa.com to see if the band is touring near you! This entry was posted in art, Christianity, human rights and tagged audio adrenaline, hands and feet project, michael tait, newsboys. Bookmark the permalink.